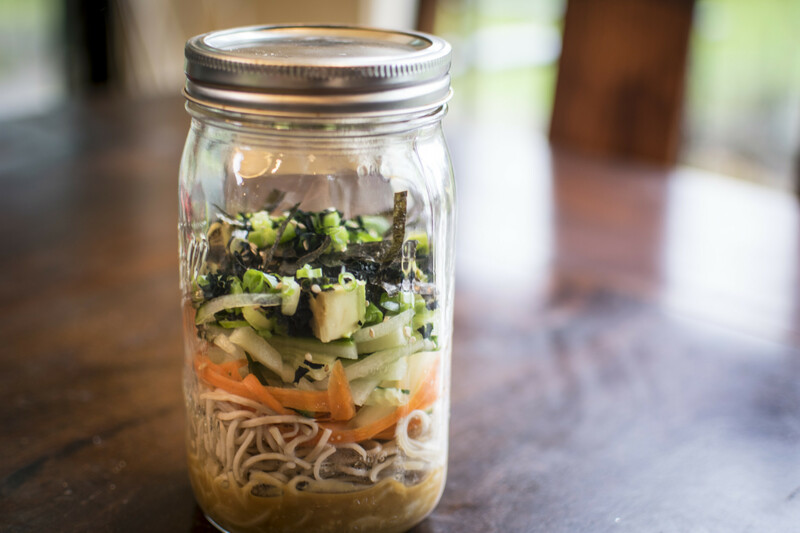 Just add hot water to this delicious noodle soup for an awesome school or work lunch. Your friends will envy you! 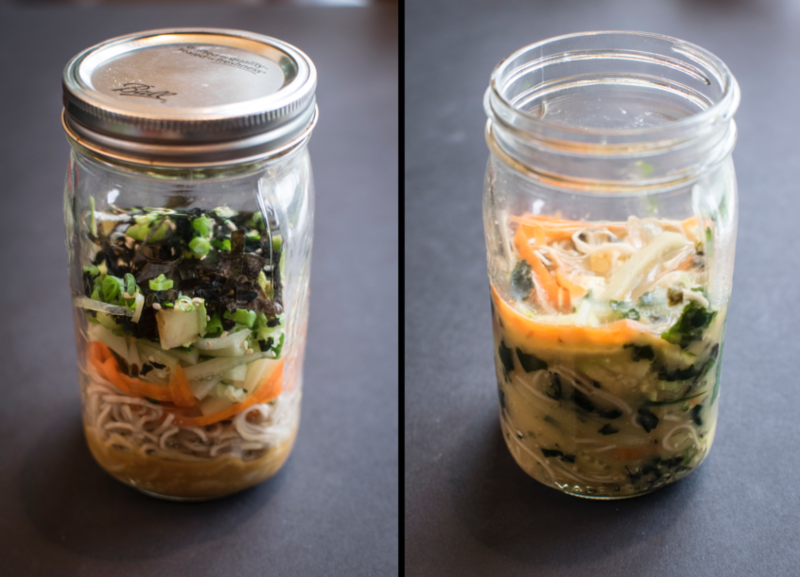 I’ll show you how to make a warming miso noodle soup packed with flavor, fresh veggies, and savory broth. It’s so easy to make, nutritious, and you save money by making your own lunch too! You can any temperature water – hot, warm, or even cold (great for summer!) 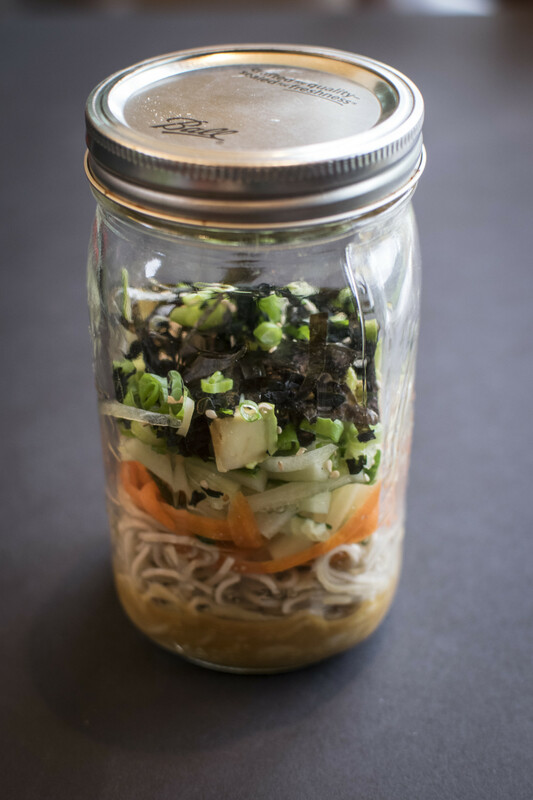 – just make sure the miso has dissolved, and the wakame has time to plump up. Wakame and nori are both types of seaweed and they add a lot of flavor (umami bomb!) to the broth. You can get them in asian grocery stores, and even in some general grocery stores. If you can’t find them, they are also easy to find on the web. 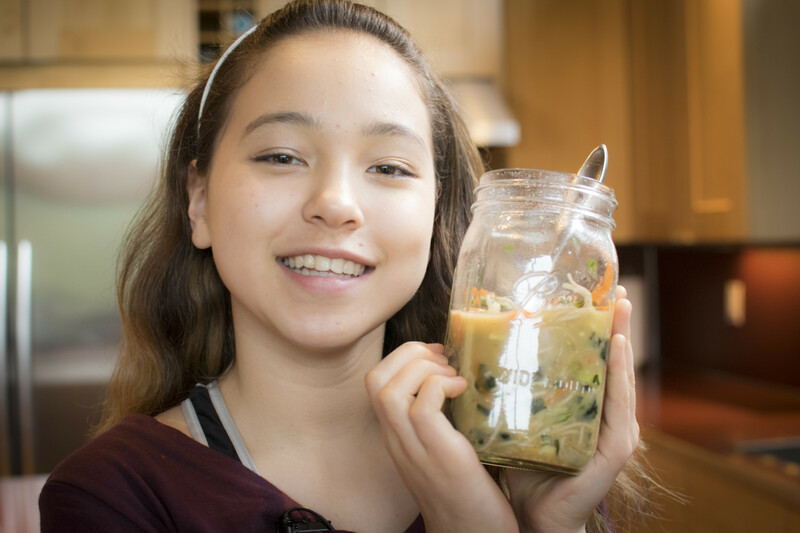 can you use barley miso or does that give a total different taste. Can you put it in the fridge and leave it for a few days? Yes you can! Just wait to pour in the hot water until the day you want to eat it!